Experience the energy. Experience the action. Experience the excitement. 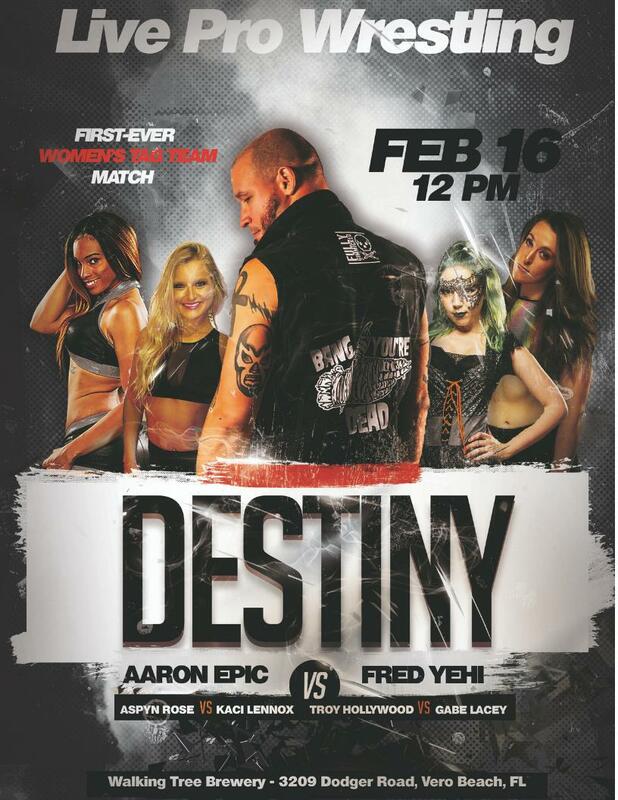 Experience the return of IGNITE Wrestling as we present Destiny! On Saturday, February 16, 2019, in Vero Beach, FL, as IGNITE Wrestling invades Walking Tree Brewery for an afternoon of non-stop entertainment. This event marks our third anniversary as the Treasure Coast’s only pro wrestling company and will be one for the record books. Featured performers include Aaron Epic, Fred Yehi, Aspyn Rose, Troy Hollywood, Critical Mayhem, TECH, Kaci Lennox, Gabe Lacey, Skyler Moore, Kilynn King and more!